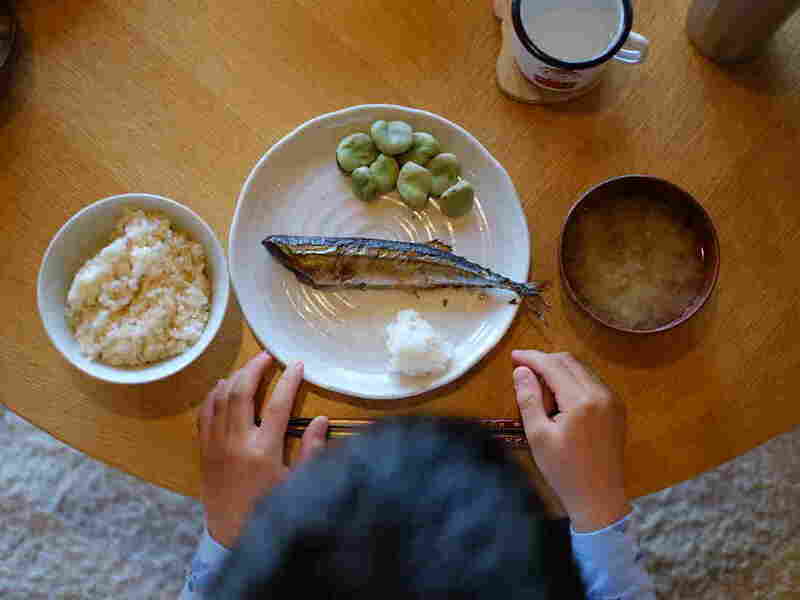 Eating More Fish Might Mitigate Pollution's Effects On Asthma : Shots - Health News A research team tracked the diets and exposures to air pollution of kids inside Baltimore homes. Children with diets high in omega-3 fatty acids seemed less vulnerable to pollution's effect on asthma. Oily fish such as salmon, sardines and lake trout, as well as some plant sources such as walnuts and flaxseed, can be good, tasty sources of omega-3 fatty acids. "What we found was that higher reported-intake of omega-3 was linked to reduced effects of indoor particulate matter on symptoms," Brigham says. "Kids who were eating more omega-3's seemed to be more resilient to the effects of PM." Brigham and her team also assessed the intake of omega-6 fatty acids that are found in vegetables oils, and are abundant in many processed foods that contain oil. Typically, Americans eat far more omega-6 acids compared to omega-3's, and this was true of all the kids in the Baltimore study, too. And, the study found that children who consumed the most omega 6 fatty acids had more severe asthma symptoms. Brigham says the role of omega 6 fatty acids in inflammation is complicated. Some of the byproducts of omega-6 acids, such as leukotrienes, have been shown to be pro-inflammatory. "Leukotrienes are one of the molecules that are known to be responsible for the inflammation in asthma," she says. Now, because this was an observational study, researchers can't prove that the omega-3 acids caused a decrease in symptoms, or that the high intake of omega-6 acids caused more severe symptoms. But the findings fit with a large body of evidence that documents the anti-inflammatory effects of omega 3's. And, when it comes to attenuating the effects of air pollution, there are other studies to support the idea that dietary interventions can help provide protection. "This study adds to a growing body of literature that suggests that diet — western, Mediterranean, etc. — can influence the health effects associated with air pollution exposure," says Kym Gowdy, an assistant professor of pharmacology and toxicology at East Carolina University. She points to a recent study published in the journal Circulation that found a Mediterranean-style diet reduced the risk of death from cardiovascular disease related to long-term exposure to air pollutants. "The [new] study by Dr. Brigham supports the overall notion that nutritional status is an important factor that should be considered to enhance protection against air pollution," says Neil Alexis, a professor at UNC School of Medicine in Chapel Hill, N.C.
And though Brigham's study focused on the helpful fatty acids in food, Alexis notes that another study has found that antioxidant supplements also may help attenuate the impact of ozone exposure on the small airways of kids who have moderate to severe asthma. Meanwhile, a separate 2018 study in adults found that vitamin E helped reduce inflammatory features of asthma. Generally, a diet rich in fruits, vegetables, nuts and seeds and healthy fats --including omega 3's — has many documented health benefits, including a reduced risk of cardiovascular disease. The new study points to one more potential benefit, particularly for people exposed to air pollution. And when it comes to getting enough omega-3 fatty acids : The U.S. dietary guidelines recommend that adults consume 8 ounces of seafood per week, and young children a little less.